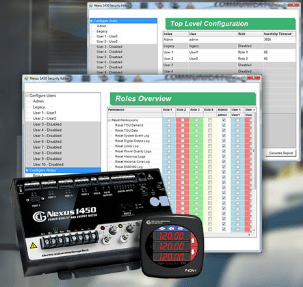 The Nexus 1450 is a powerful state-of-the-art power meter that offers high-precision electrical power measurements and records waveforms. This equipment allows to measure the quality of energy and determine the reliability of electric power. 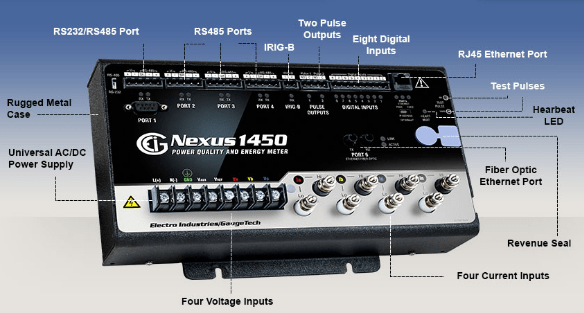 The Nexus 1450 meter allows you to see the reliability of the power supply circuit to determine the causes of faults, overvoltages and voltage drops, and harmonics. 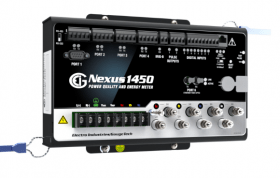 The Nexus 1450 meter is protected with a secure, multi-level encrypted configuration, which is why it stands out for its security, thus avoiding the manipulation and hacking of data. 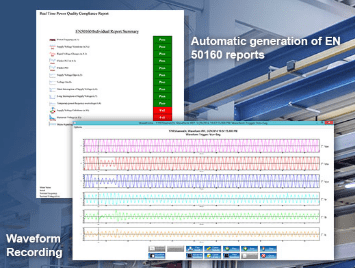 The meter acts as a communication center for multiple software systems (the equipment has 6 communication ports, is equipped with 4 Modbus and DNP serial ports, 2 Ethernet ports with RJ45 connector and unique IP address and an Ethernet Fiber Optic port) . The base of the transducer is an update of direct adaptation to the existing Nexus 1250 and 1252 of Electro Industries, by which allows to update these equipment once the useful life of the same since it can be installed without cutting the doors of the panel of pictures of existing distribution. The separate screen is mounted in the existing analog blind holes.